Mobiliti is a vehicle subscription service that works directly with dealerships to offer drivers choices and flexibility. Not ready to purchase or lease? No problem. You can pay one monthly fee and drive until you’re ready to decide. ​Launching something new is always challenging, but even more so when the category itself (car subscriptions) is nascent. 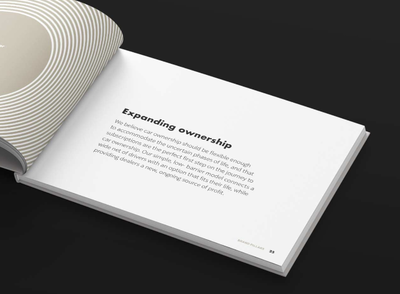 The founders recognized the need to invest in the brand before launch, and asked the team at Noise 13, where Miriam is the Director of Strategy, for help in crafting positioning, messaging, brand voice, visual identity, and an inspirational brand book. In crafting their positioning, we needed to take into account two distinct audiences with perspectives that can seem almost at odds: a growing population of millennial drivers not ready to commit to long-term vehicle ownership, and car dealer partners who want to make sales and bring in tech-savvy customers who would rather shop online. For the latter, we needed to address their concern that subscriptions might cannibalize their ability to make lease or purchase deals. 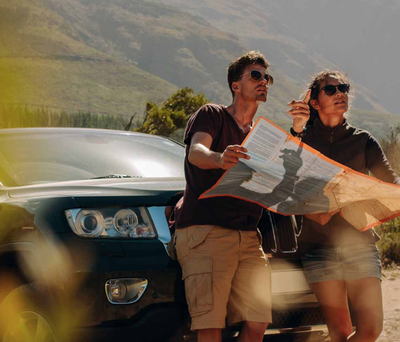 ​We went through an in-depth discovery process and landed on a key differentiating insight: to position subscriptions as a “step along the journey” to ownership, rather than a replacement This puts dealers at ease while inviting a wide range of customers in the door. We identified Mobiliti’s brand personality as a “visionary connector” between dealers, drivers, and partners. This theme came out through the identity, messaging, voice, and brand expression. The look and feel is both elevated and inviting, helping dealers and drivers feel like they are participating in something truly special. 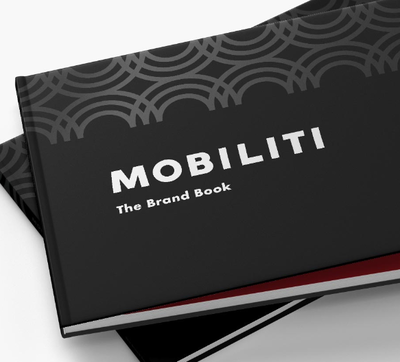 Mobiliti used the brand book and materials we created to help them to win large new accounts. In one case, it was distributed internally throughout a major auto brand as an example of fresh branding. Mobiliti has launched in Philadelphia and Austin, with plans to launch in three additional cities soon.